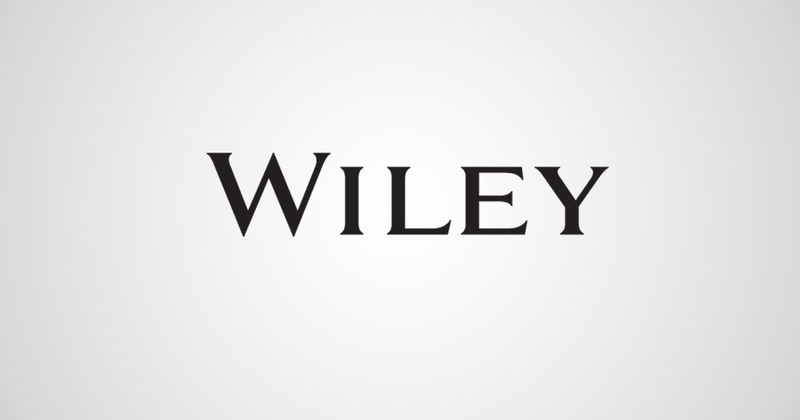 Wiley indexes and analyzes its bibliometric data using Qlik. I remember back in middle school taking library science courses to prepare us for how to properly cite journals, newsletters and other scholarly publications for high school research papers. Back then all we had was Netscape Navigator, a Windows 98-era library software suite and a dream! Much of our time was spent learning how to properly locate accurate sources from a library search engine, pulling relevant information to cite in an APA style bibliography…and playing Minesweeper if we finished early. All of those hours spent pouring over bibliographic citations made the story of Wiley all the more interesting. Launched in Manhattan in 1807 as a small printing shop, Wiley today is a multi-billion dollar global publishing company. You may be familiar with one of their most popular titles: the best-selling “For Dummies” series, which has over 200 million books in print in over 1,600 titles. On the opposite end of the spectrum, over 450 Nobel laureates have graced the pages of Wiley books and journals over the past 200 years. Despite all these accolades, there was a burgeoning data deluge that took root staring in 2010. David Hogben, Vice President Data and Analytics and David Nygren, Vice President Research and Analytics sought to learn more from their data than they could using their legacy software suite: Cognos 10. The initial purchase of Qlik took place in 2011 and there were over 50 users from the start (which has grown organically to over 1,000 users in 2016). Wiley started out by constructing apps that focused on sales and marketing. One of the first big hits internally was a Sales Dashboard that turned static Salesforce data into a visual measurement vehicle. With the new dashboard, sales reps had access to pipeline data in the field for the first time. The reps were now able to judge how much business had been ticketed for follow up vs closed won: collectively eliminating a previous gap of $8 million dollars in revenue. These findings were a great source of education for the entire North American sales team. While this was a win for Wiley, neither David nor David wanted to end the journey at that point. They saw that Qlik Sense was being introduced in July of 2014 and thought there might be a way to create a dashboard for external use. That’s where the journey for the Society Dashboard first began as described by Bill Deluise, Vice President, Society Strategy & Marketing. The Society Dashboard (currently in beta) will, when fully launched, analyze data from journals published on behalf of hundreds of societies and boast thousands of users on a regular basis, all via extranet. By providing this dashboard and a granular level of bibliometric data (down to individual citations and uses), there is now an increased transparency for publishers which few companies can truly match. 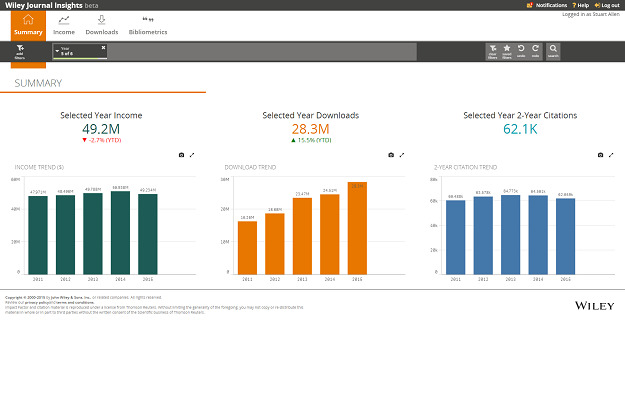 In fact, it’s actually the first Qlik Sense app built to be accessed via extranet: a major feather in the cap for Wiley.